John Lloyd Young, Erich Bergen and Christopher Walken star in Jersey Boys, Clint Eastwood’s big-screen version of the Tony Award-winning musical. Watch the movie trailer and view the photos, and posters below. 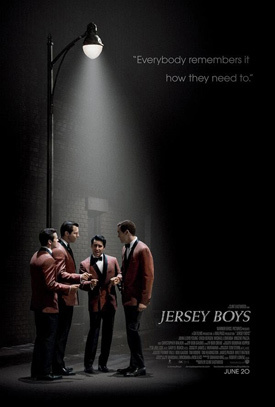 ‘Jersey Boys’ tells the story of four young men from the wrong side of the tracks in New Jersey who came together to form the iconic 1960s rock group The Four Seasons. MPAA Rating: (R) for language throughout. From director Clint Eastwood comes the big-screen version of the Tony Award-winning musical “Jersey Boys.” The film tells the story of four young men from the wrong side of the tracks in New Jersey who came together to form the iconic 1960s rock group The Four Seasons. 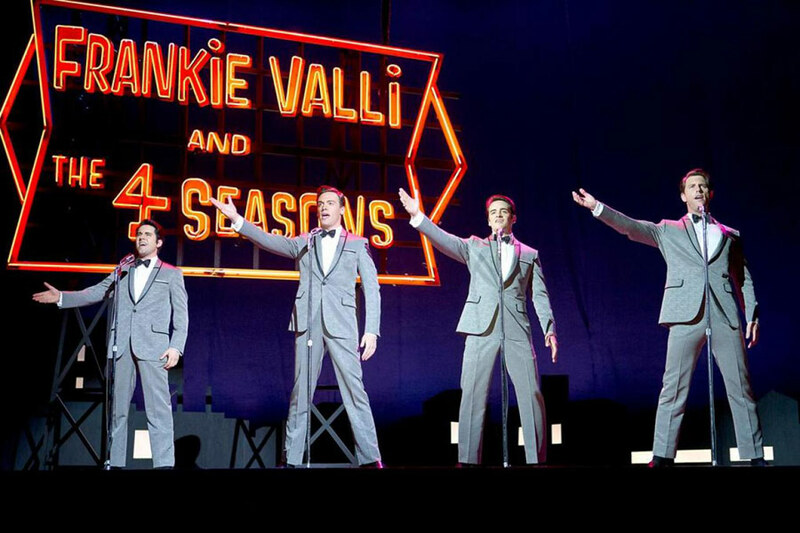 The story of their trials and triumphs are accompanied by the songs that influenced a generation, including “Sherry,” “Big Girls Don’t Cry,” “Walk Like a Man,” “Dawn,” “Rag Doll,” “Bye Bye Baby,” “Who Loves You,” and many more.